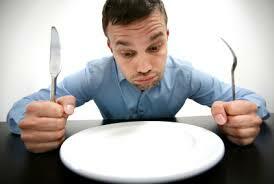 Health Talk: What are the Pros and Cons of Fasting? Fasting has been around in a long time. In the Bible, Prophet Moses fasted for 40 days when he received the 10 commandments from God. Jesus Christ also reportedly fast for 40 days and 40 nights in the Bible. Ramadan is popular among all Muslims worldwide. This period of the year is regarded as the best and most blessed period in Islam. Even the Buddhist, Gandhi fasted in protest. There is also a process called the 5:2 diets, that is, eat a normal diet for 5 days and for the next 2 days, you eat 25% of what you would normally eat. Well, we all can agree that healthy feeding is hard enough, most people can’t even do that or even afford to eat healthily. Going without food or taking 25% of your normal food intake is even more difficult. It is like those realistic New Year resolutions we make but at the end of the year, we never follow it through. One more negative thing here is that it is unpleasant for some people. Many people feel miserable for the days they don’t eat regularly. And, what are the pros of fasting? The good news is that there are many health benefits of fasting. Researchers say fasting “flips a regenerative switch” which creates brand new white blood cells, essentially regenerating the entire immune system. This can be done in 3 days. According to USC News, two studies showed a short-term fast starves cancer cells and helps chemotherapies target cancer accurately. Researchers at the Intermountain Medical Center Heart Institute discovered that people who had fasted for 24 hours had a 2000% increase in human growth hormone (hormones that grow cells). These people also had their triglycerides significantly reduced, HDL cholesterol boosted, and blood sugar stabilised. When placed on caloric, the restriction of food or fasting, children who also suffer from epileptic seizures have fewer of them. Some people are also of the belief that when they don’t eat, they can’t think clearly. One study carried out in the National Library of Medicine studied females that were deprived of food for 24 hours and ran a test on their minds’ sharpness. None of the tasks studied was found to be impaired. The tasks included simple reaction time or immediate memory, and attention focus or sustained attention. Memory was said to have improved during the task. The US National Library of Medicine tested 50 people before and after they had 30% reduction in calories. A significant increase in verbal memory scores was found after caloric restriction. Also, restriction of a number of calories consumption can enable someone to live longer. Japan is reported to have more people living past 100 than anywhere else in the world, and it may be related to the fact that many practice the art of eating until 80% full.